Home » Page Type » Event » Annual Gathering » Annual Gathering 2016 » Collins, Mick, Dr.
Mick Colins works as a Holistic Coach, specialising in transformative action. His career path includes working as an NHS Occupational Therapist in a psychological therapies team. He was a Lecturer for 10 years in the Faculty of Medicine and Health Sciences, University of East Anglia, where he was also a Director of Admissions. Mick’s research publications and doctoral thesis are focused on the actualisation of psycho-spiritual-eco potential. 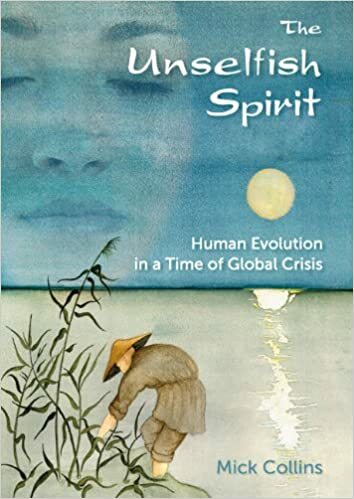 His award winning book (SMN, 2014) The Unselfish Spirit: Human Evolution in a Time of Global Crisis explores how humanity can work together to co-create an improved future. He was interviewed about his book at the 2015 International Hay Festival. Mick Collins has had an interesting career after he left school at 15 years of age with no formal educational qualifications. For many years his working life was focused on manual work, which including working as a builder’s labourer, infantryman, and heavy goods truck driver. Between 1977-1983 Mick travelled around the world visiting diverse countries and learning about different cultures, which also brought him into contact with Buddhism. In the mid 1980s Mick lived in a Buddhist Monastery in the North of England for about 3 years. Eventually he decided to train as an Occupational Therapist and worked in an acute mental health setting as well as a psychological therapies team. Mick also spent 9 years training in transpersonal psychotherapy, and he integrated spirituality into his therapeutic practice. The focus of Mick’s research, publications, doctoral thesis and conference presentations are mostly on the subject of transformation and actualising our eco-psycho-spiritual potential. His book The Unselfish Spirit was winner of the Scientific and Medical Network book of the year in 2014. He was also interviewed about The Unselfish Spirit at the Hostry Festival in 2014 and the Hay Festival in 2015. Mick left academia in the autumn of 2015; he has a Diploma in Holistic Life Coaching, and currently works with people’s eco-psycho-spiritual potential in private practice.